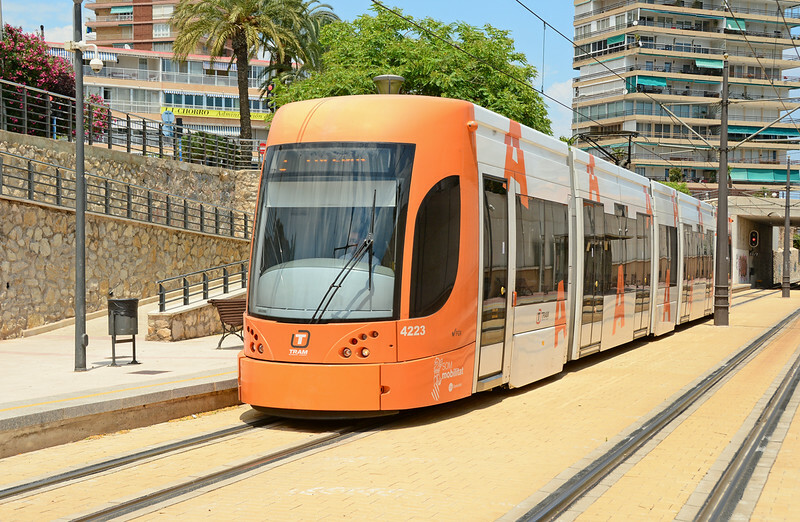 Meter gauge DMUs & trams on the Costa Blanca. Class 58s at Monforte del Cid Alicante. Clan Line in all her glory. 4223 is seen at La Isleta, heading for Luceros Alicante 26/06/2014.